Choose to study in POLSIS and take the opportunity to examine some of the most important political issues, both at a national and international level, that we, as citizens, face in the 21st century. 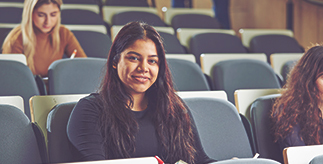 The Department of Political Science and International Studies offers the broadest range of MA programmes of any department in the UK, all delivered by internationally-recognised staff. 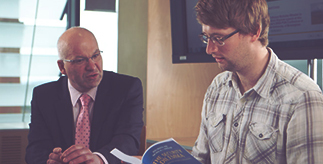 We welcome applications for Research degrees in a variety of subject areas. We offer PhD and MPhil study with the support of dedicated supervisors who are experts in their field. Politics as a Vocation - inspired by Max Weber's famous lecture of the same name; introduces a wide range of political roles and occupations. The module explores potential political careers by exposure to important research within academic political science. Parties, Voters and Elections - examines how parties are organised, financed and regulated. The module contains a focus on the variety in party systems that exist around the globe, trying to explain why they vary, as well as the causes of change in party systems. International Political Economy - asks the big questions about the global political economy, such as 'Is the future Made in China?' and 'Is it true that crime doesn't pay?' (on the 'illicit economy'). European Union Foreign and Security Policy - analyses the EU as an international actor; explores various issue areas of the Union's external relations. Law, Politics and the International System: Mediating Power beyond the State - an advanced introduction to the role of law in contemporary international relations. This module is organised around case study analysis of topics, including human rights, the use of force, international criminal justice, and 'self-determination'. Comparative Foreign Policy - introduces the tools of foreign policy analysis; goes on to apply them to different case studies of both European and non-European foreign policies. Sociology of 'Race' and Ethnicity: A Global Perspective - approaches the concepts of 'race' and ethnicity from a sociological perspective through historical contextualization. Unlike other modules of its kind, this module is neither British-centric nor does it have a scope which is restricted to the twentieth century. Use of course-related blogs: intended to allow students to follow developments in current affairs, about which there may be few 'published' sources of information. Seminars based around 'small team exercises': students participate in these under a tutor's direction; they represent an innovative application of peer-assisted learning. Our assessment methods now range far beyond the traditional format of essay-and-exam – though this does remain important to what we do. For example, new formats include the simulation exercise, the production of a documentary in small group, the briefing paper, and the literature summary. Enquiry-based Learning (or EBL) can be described as learning that arises through a structured process of enquiry within a supportive environment, and which is designed to promote collaborative and active engagement with problems and issues. The student is placed very much at the centre of the learning process, and presented with greater independence in decisions relating to his or her learning (hence the term ‘learner independence’). A key role of the tutor is to facilitate and support the learning process to provide students with opportunities to work collaboratively in order to pool their collective knowledge and understanding, as they work together to create new knowledge for particular purposes. Our graduates are well prepared for the world of work whether they chose to work in the public, private or third sector. POLSIS is committed to working closely with employers and students to ensure that our students have the opportunity to develop the skills that are in demand and that are essential to the professional development of graduates. Our curriculum as well as our learning and teaching enable students to graduate with the following skill sets that employers and alumni tell us are essential. The strengths that we focus on in the Department are derived from those identified by Universities UK, and there are seven of particular relevance to POLSIS students. Self-management - Readiness to accept responsibility, flexibility, resilience, self-starting, appropriate assertiveness, time management, readiness to improve own performance based on feedback, reflective learning. Teamworking - Respecting others, co-operating, negotiating/persuading, contributing to discussions, and awareness of interdependence with others. Problem solving - Analysing facts and situations and applying creative thinking to develop appropriate solutions. Communication and literacy - Application of literacy, ability to produce clear, structured written work and oral literacy – including listening and questioning. Information literacy - Basic IT skills, including familiarity with word processing, spreadsheets, file management and use of internet search engines. Initiative and originality - Frequently mentioned by both employers and universities is entrepreneurship/enterprise: broadly, an ability to demonstrate an innovative approach, creativity, collaboration and risk taking. Underpinning all these attributes, the key foundation, must be a positive attitude: a 'can-do' approach, a readiness to take part and contribute, openness to new ideas and a drive to make these happen. Our approach to employability is both flexible and developmental. We review our skills provision annually to ensure that we are able to respond to changing demands in the employment sector. We encourage our student to be aware of the need to develop their employability skills. We facilitate student-employer engagement opportunities to improve student employee and career learning, and better market the attributes of our graduates to future students and future employers. We have a range of curriculum enhancement activities with which students can get involved to enhance their graduate attributes, including the POLSIS Annual Student Conference. POLSIS Graduates are innovative, independent individuals who are reflexive in their approach, professional in their attitude and positive in their engagement with others. In order to understand how best to facilitate learning, and to ensure that learning in POLSIS is an experience students 'never forget', many of our staff members are involved in research into pedagogical theory and practice. Scholarship on learning and teaching, published in leading disciplinary journals such as Politics, International Studies Perspectives and pedagogy journals including Enhancing Learning in the Social Sciences, enables academics to engage with theoretical approaches to learning activities and to explore issues and concerns in learning and teaching.